Available on a combo CD with Intimate Percussion, so I will not be posting a sample. 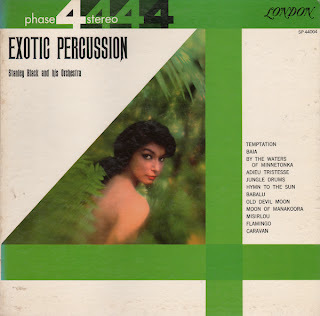 This is but one of the many great Phase 4 Stereo percussion LPs to collect. I read one rather harsh review of this album on Amazon. The reviewer was comparing this Black project with what he consider Black's better "small group and piano". 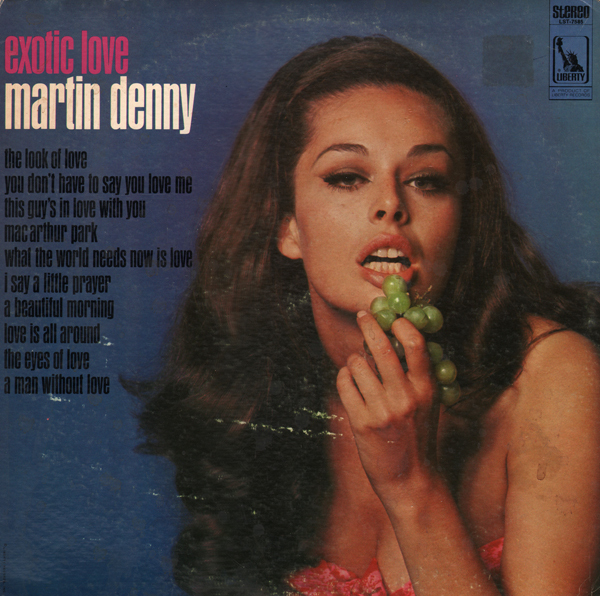 Fortunately for me I don't have any of those records so, I guess that I can enjoy this album for what it is, a somewhat late entry into the exotica market but a set that covers all my favorite tunes. The music is kept fresh by blending early 60s light pop flourishes into the "Denny" inspired sound. Another great jacket design by Charles E. Murphy who created the look for early 60s Command covers which the competition copied on many occasions (or tried to). 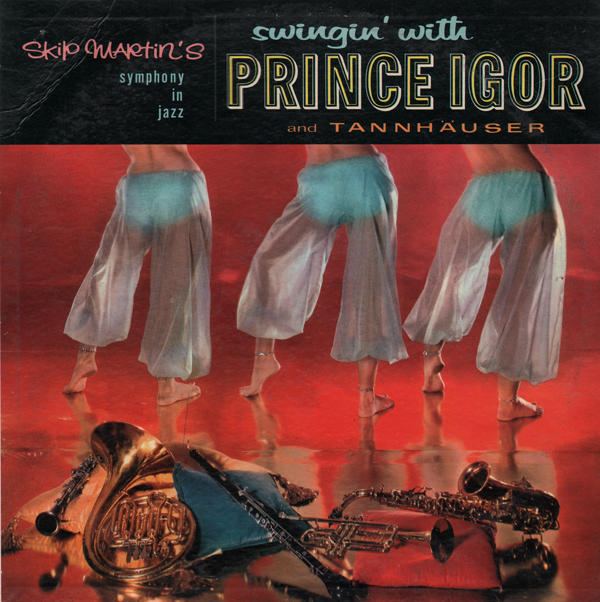 This is a good album for swing lovers. And of course, you get that big beefy 60s Command sound. From what I can tell, a combo CD import featuring Volumes 1 and 2 was announced in 2008, but never materialized. This album was a fun find! The music? 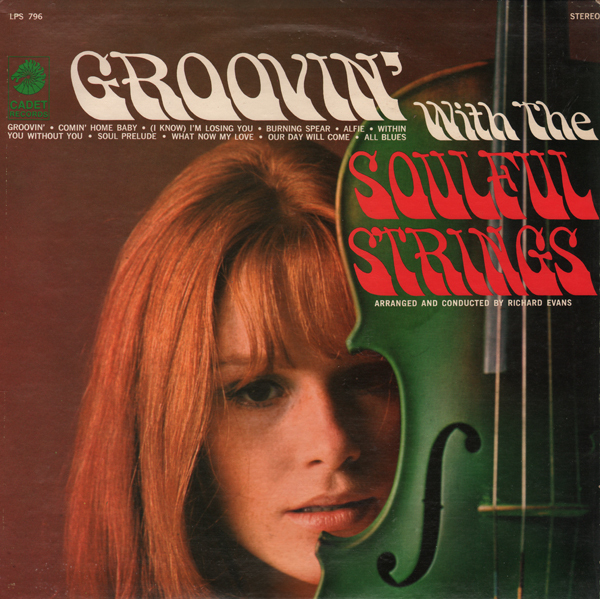 Jazz meets easy listening meets light funky 60s pop. Group members include: Sol A. Bobrov and David Chausow - Violin, Arthur Ahlman and Harold Kupper - Viola, Karl B. Fruh, Emil Mittermann and Theodore Ratzer - Cello, Charles Stepney - Organ and Vibes, Lenard Druss and Vernice Green - Sax and Flute, Ronald Steel and Philip Upchurch - Guitar, Cleveland Eaton and Louis Satterfield - Bass, Philip R. Thomas - Bongos and Conga and Morris Jennings, Jr. - Drums. There is a hard to find Japanese CD import floating around out there. 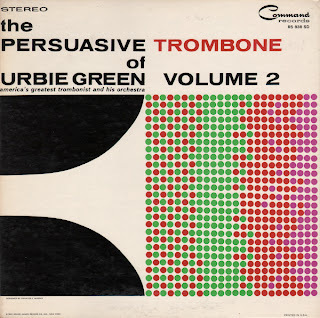 Great follow up album featuring a number of 60s light pop/jazz flavored covers and the odd-man-out psych sample above. 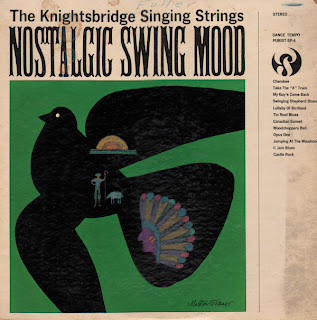 This is one (number 4) of 10 "Knightsbridge" albums released by Purist according to Billboard. "The songs are all standards performed in a tempo to suit the mood theme of the particular album. All the albums are available in stereo. There is no info to be found on Knightbridge and little on Purist Records, other that a few briefs in Billboard. The company head was Elliot Wexler. Purist was distributed by Wayne Record Corporation. One humorous brief in billboard states that Wexler received a fan letter from two dentists whose secretary had heard KS programmed on American Airlines and was so impressed that she suggested its use in their dental office as background music. There you go... cool music to pull teeth by! Cover illustration by Milton Glaser. 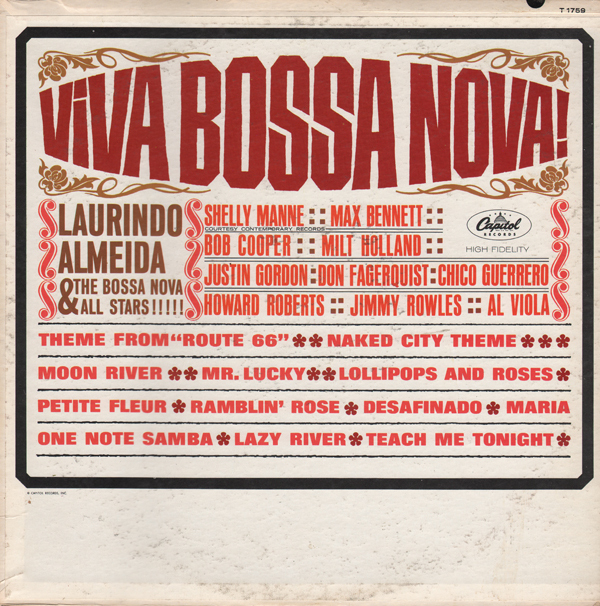 Terrific early 60s light/jazz pop Bossa Nova album! 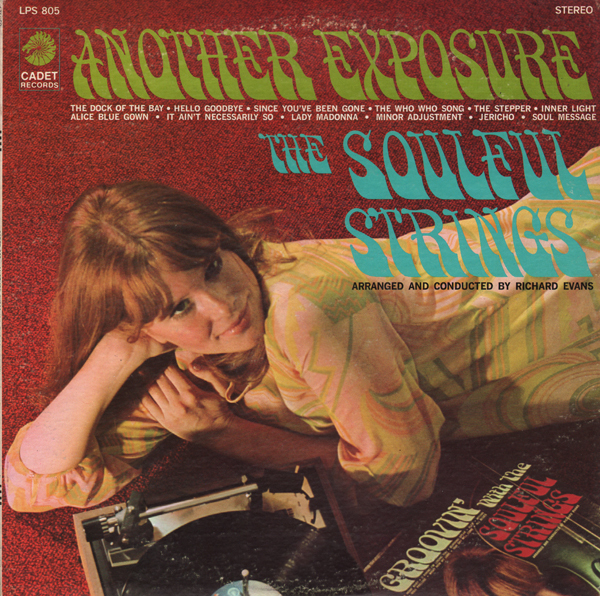 Group member include: Howard Roberts and Al Viola – second guitar. Shelly Manne, Milt Holland and Chico Guerrero - percussion. Jimmy Rowles - electric organ, Bob Cooper - tenor sax, Don Fageruist - trumpet and Justin Gordon - flute. Super tight work by Almeida who was invited to the United States in 1947 by Stan Kenton. He played for Kenton's band during the height of it's success in the 1940s. He won Grammy Awards for his work in 1959, 61 and 65. 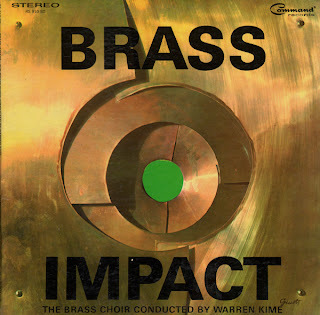 This is a killer 60s brass set and first of three "Impact" albums by Kime/Command. The engineering is outstanding. Fortunately Monty Kelly (house arranger) was on the job. 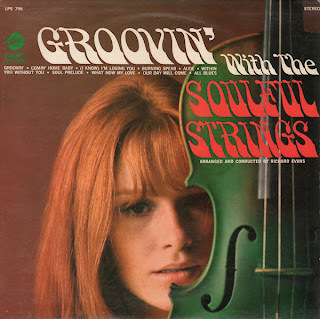 He added enough 60s pop instrumental flourishes to keep the tunes from falling into pure string-based easy listening. The Boxer is actually way weird compared to the rest of the set. I did not overlay that guitar riff! That crunchy guitar is actually heard in the middle of the song! 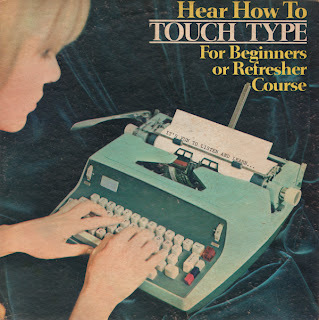 This album is available from online vendors so I will not be posting a sample. 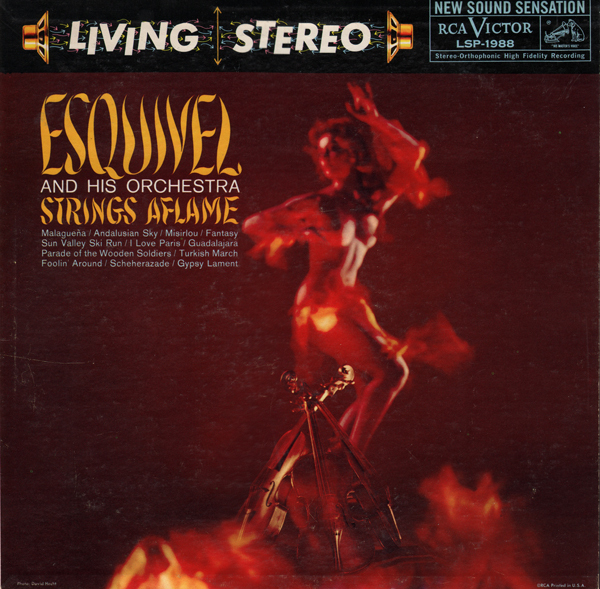 Esquivel does more than just set strings aflame… The arrangements incorporate percussion, a touch of accordion, harpsichord, some vocal touches and, of course, Esquivel's piano. The engineering is top shelf. 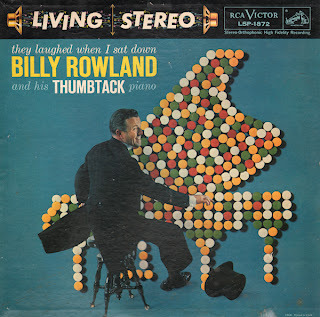 RCA made good use of stereo. 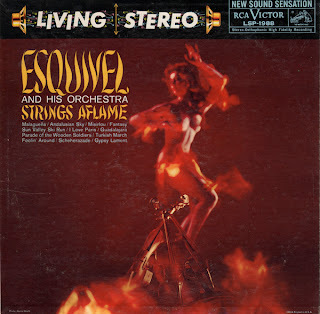 Esquivel does a great cover of Misirlou on this album. Never a dull moment! Terrific! Love the cover! Much of the music on this obscure album is 60s lounge style jazz. A few songs, especially the title track, Valley Of The Dolls, must have been added from other sources to fill out the album because the style is completely different than the lounge thing. I don't know who "The Young Lovers" are. They are not a vocal group. This LP is strictly instrumental. 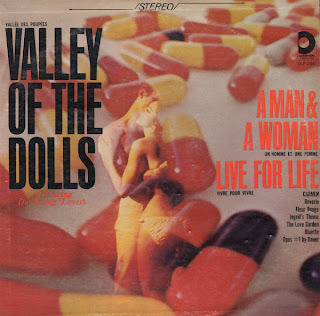 Apparently The Young Lovers also did a cover of songs from the movie Barbarella for Design. That album also features a great cover! Curiously, some of the copy on the front cover is repeated in French. 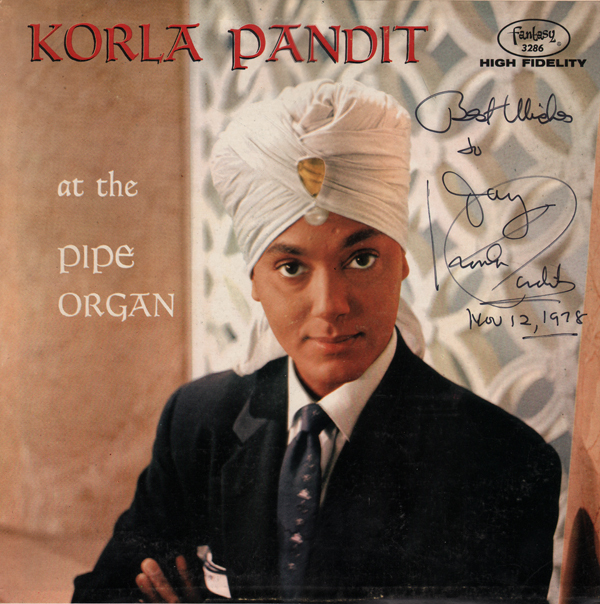 See this page for more Pandit album covers. 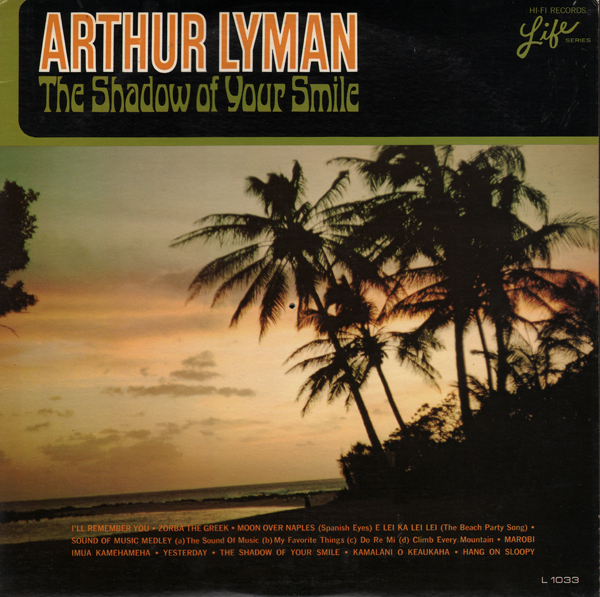 As with most, if not all Lyman albums, you can purchase/download this one. 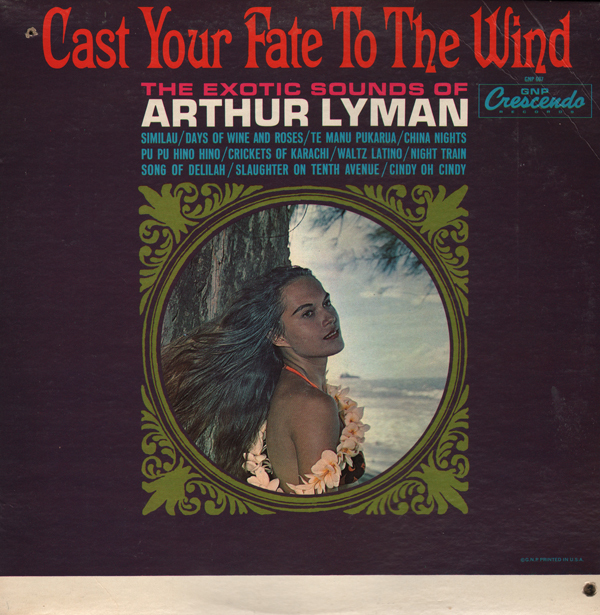 Released on the heels of of Lyman At The Crescendo and followed up with Cast Your Fate To The Wind (a reissue of At The Crescendo). These two albums are pure Lyman exotica. 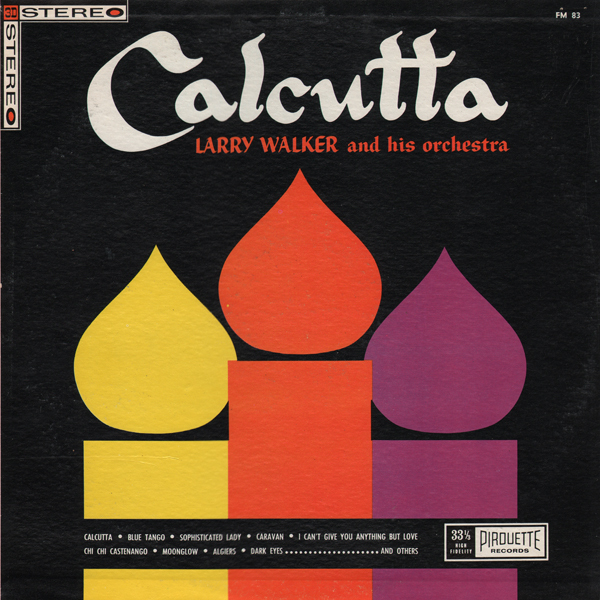 This album features covers of many exotica favorites including Poincianna, Shangri-La, Pearly Shells, Baubles Bangles and Beads and Song Of India. 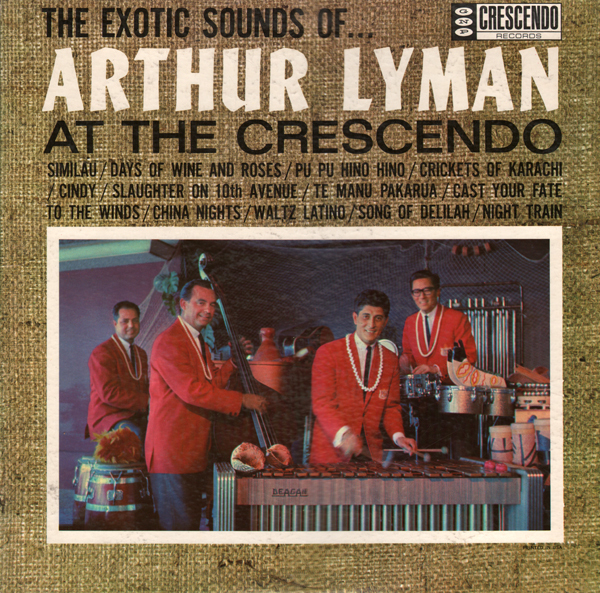 Lyman charted with his single Love For Sale in 1963, so he was surfing a crest of success during this period with his brand of exotica. We continue Lyman In The Attic Day... here in the attic... as I work through a few more Lyman albums which appeared on top of my stack-o-wax. 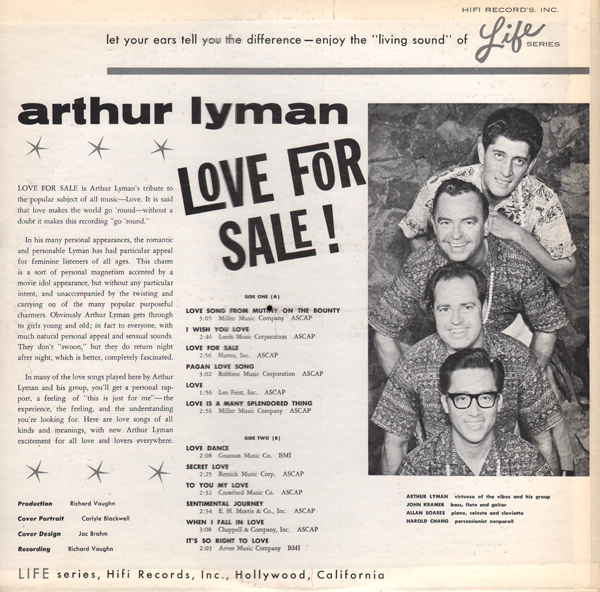 This album is available, as I think most Lyman albums are, for purchase/download. This is a "softer" Lyman, compared to the 7 or 8 other Lyman albums I've listened to/bloggerd. Jazzy and soft. Nice. And you will find some bird calls in The (Jungle) Cat, a track from side two. 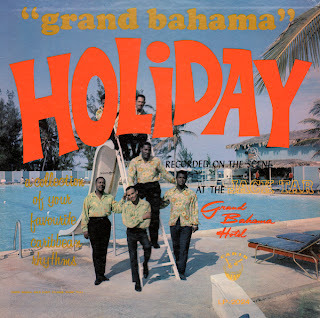 This is one of the albums recorded in the Aluminum Dome on the grounds of The Hilton Hawaiian Village. The sound is amazing. The Atomic Attic dusts off another song-poem album for you enjoyment. Obscure budget release featuring a band that sounds very much like The Three Suns. Check out the fun version of Caravan. But there is another song, the last track on side 1 that sounds "Calcutta-ish" (even though Algiers is no where near Calcutta... I'm just saying...) and not at all like the rest of the record. I'm assuming that Pirouette probably inserted the track to help fill out the record. There are three tracks on this album that sound like filler. This one is available on CD, as all Lyman LPs maybe so I will not be posting a sample. 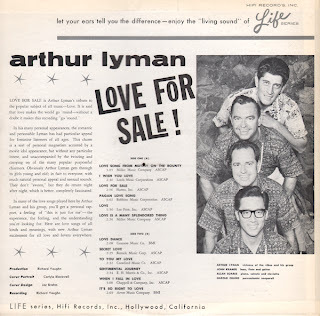 It's Arthur Lyman day up here in The Atomic Attic! 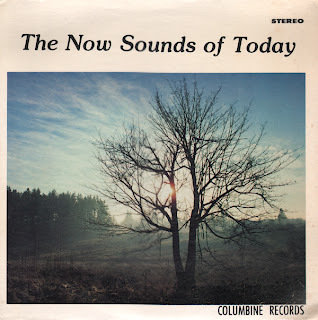 One of my favorite tunes on this LP is a cover of Yesterday (Beatles 1965). This album seems to have a touch more of a 60s lounge jazz feel to it. The first track on the B side, Marobi, is typical great Lyman exotica. There is also a curious rocking cover of Hang On Sloopy found on the B side that sounds as though the group just decided to jam to fill out the record. 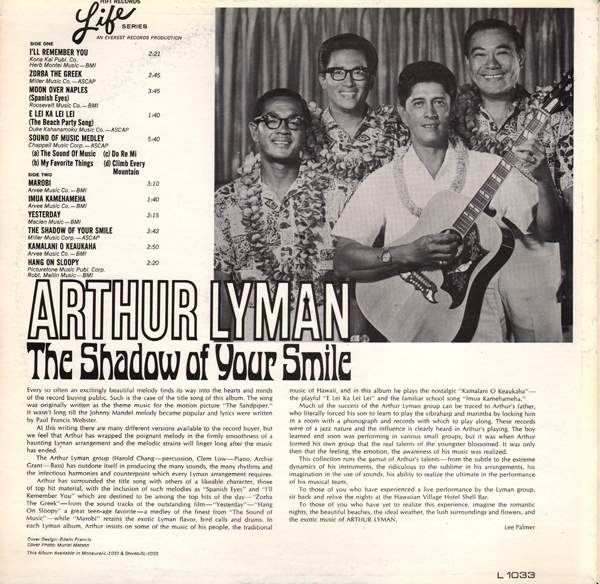 Here's a Lyman album that was apparently released on CD in 2002 and can be had purchase/download if you look hard enough. 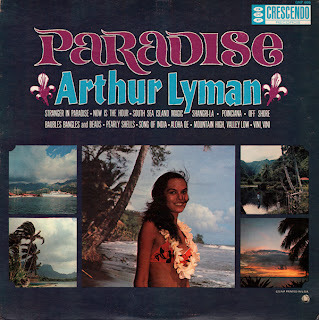 Stunning exotica album from Lyman (I have yet to blog one that isn't). The Crescendo was a club located on Sunset Strip in Hollywood. I didn't have any luck finding an exterior or decent interior photo of the club. However, it appears only top notch acts appeared there and the place was frequented by the rich and famous. This is the 1965 reissue of Crescendo. 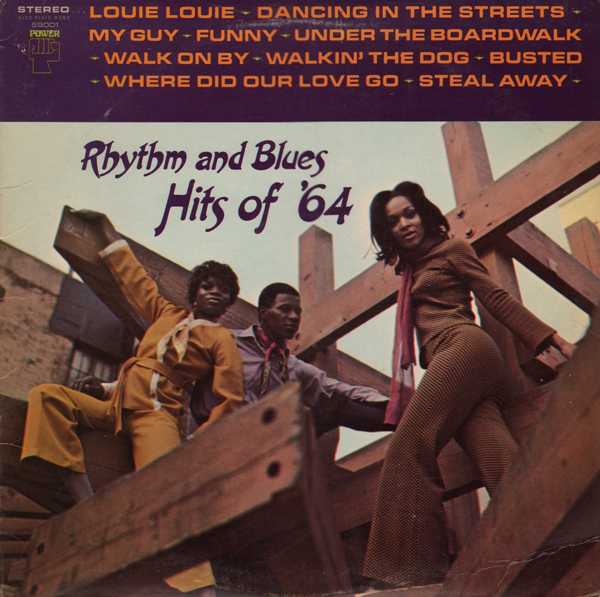 The label flipped sides on this release (side 1 became side 2). 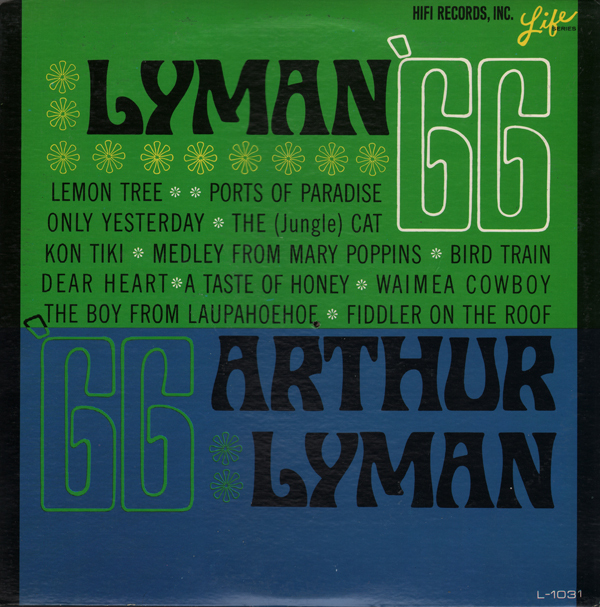 I'm working my way through a number of Lyman albums I picked up a while ago. 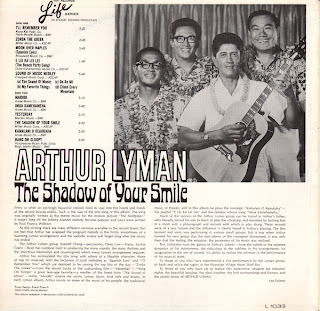 So far, I have yet to be even remotely let down by a Lyman project. I have to say, when I looked at this cover, I wondered what the deal was. 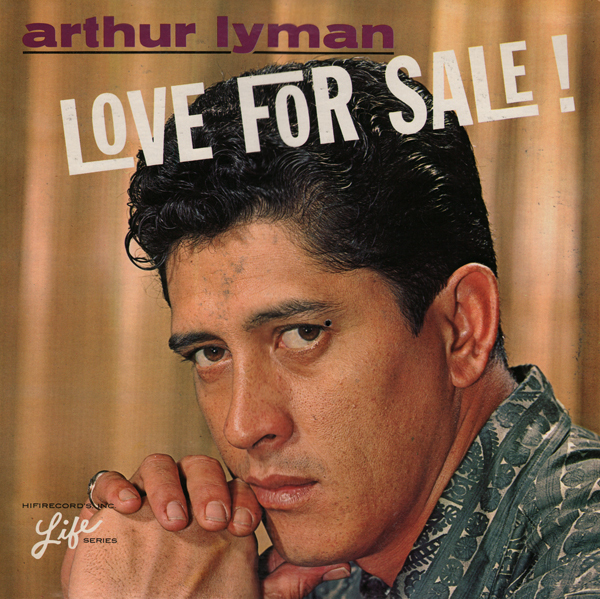 Lyman's portrait under a the title "Love For Sale" just seems odd for some reason. I wondered if is this album was going to be "light" or easy listening/romantic. No fear... Sure, there are lots of song titles with the word "love" in them. But this is pure exotica and Lyman to the bone. The music is inventive, moody or mood setting and very cool. I found an online mention of Hartley doing a benefit in Australia (his home country) in 2008. He would have been 79 years old. 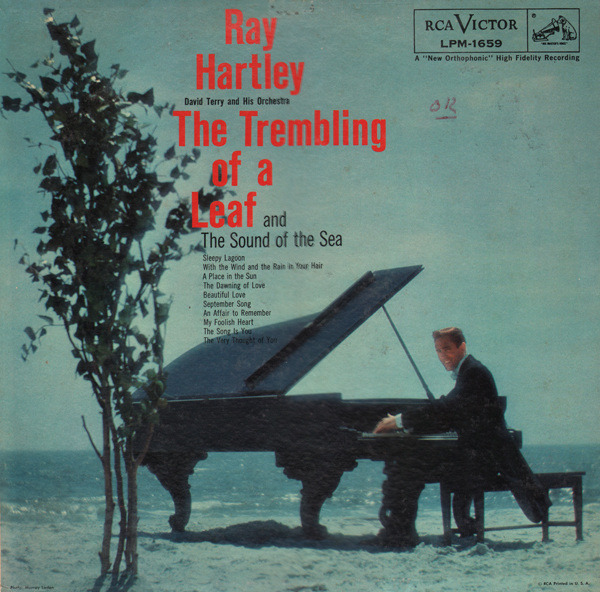 This may have been Hartley's only album which fits nicely with other period contemporary mood. The cover photo was a set up on the beach of Long Island's Colony Club. Light bachelor pad that seems to me to be a little uneven with its blend of lounge, honky tonk and dixieland. Group members include: Bob Haggart - bass, Terry Snyder - drums, Al Caiola - guitar, Al Klink - sax and Bobby Byrne - Trombone. The "thumbtack piano" refers to actual thumbtacks Rowland applied to piano hammers. A sound that you hear on his "honky tonk" projects. Swinging Themes of Famous TV Whodunits. 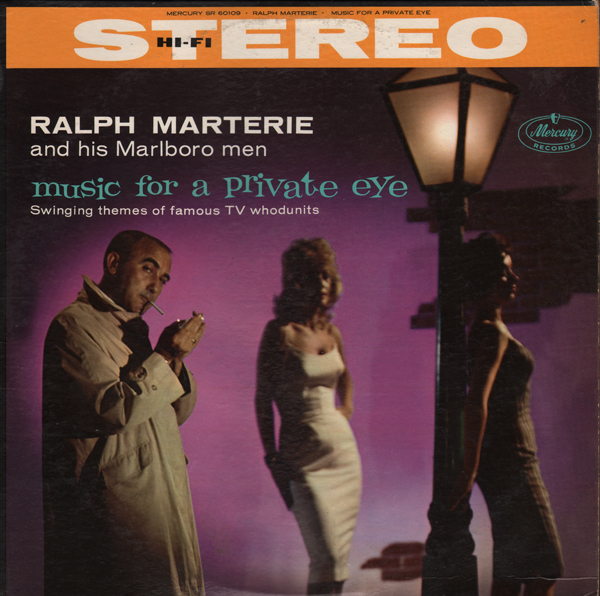 Light bachelor pad big band swing take on "private eye" themes. 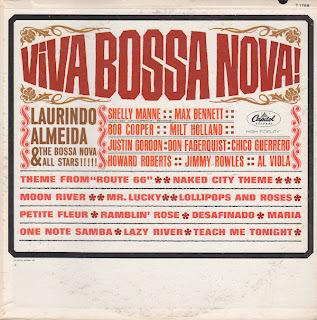 Tracks are available purchase/download, but you don't get this great cover! 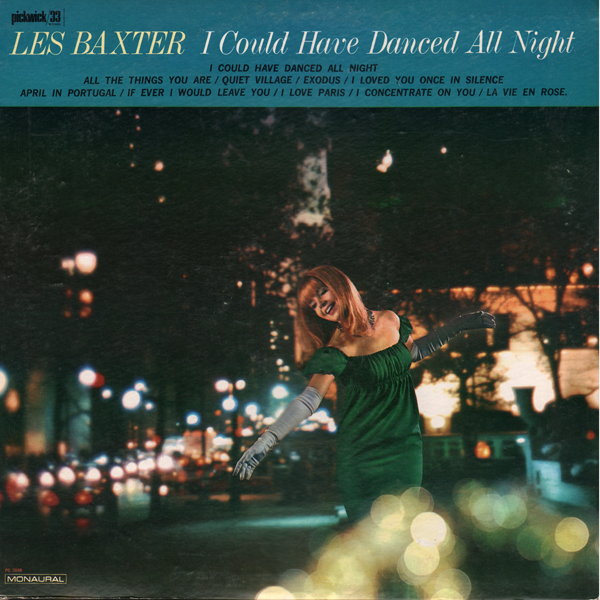 It's Les Baxter day up here in The Atomic Attic. Or is it? In my effort to find the rarest and greatest bargain basement records EVER... 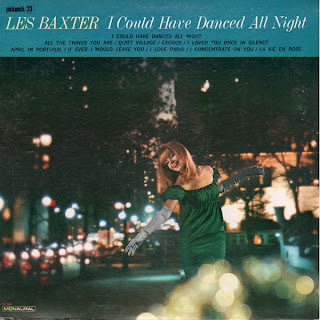 I bring you a Les Baxter album that is only part Baxter. Yes, who would have thunk that anyone would do an easy listening cover album of Baxter's work? Not me. But here it is. 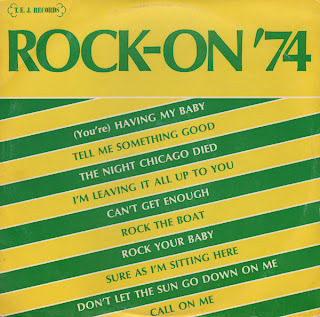 Only when you look at the small type on the back cover do you realize that the tunes are performed by someone else. Additionally... if you didn't already know better... when you glance at the record label you'll note that Quite Village is the only song Baxter actually wrote. The heck you say! No, really... there is only one actual Baxter tune on this album and that song isn't performer by Baxter. From the November 23, 1963 Billboard Special Merit Picks listing: Les Baxter's exotic collection of songs provides an excellent escape vehicle for the listener. The sounds and atmosphere of the South Seas, the Near East and an illusionary Shangri La are captured by strings, percussion and soft brass. Attractive gal on cover should help at point of purchase. It appears that many of the tunes on this LP are available for purchase by download. A number or all of the tracks appear to have added to this collection from earlier projects. I think this record is a compilation album Capitol put out just after Baxter left to focus on film scores (in 1962 according to spaceagepop.com). Anyway, the tracks are assembled here in such a way to make for a great listen! Recommended! Available by digital download so I will not be posting a sample. Wonderful cover with music that takes you down into the depths looking for the "jewel". Great stuff. 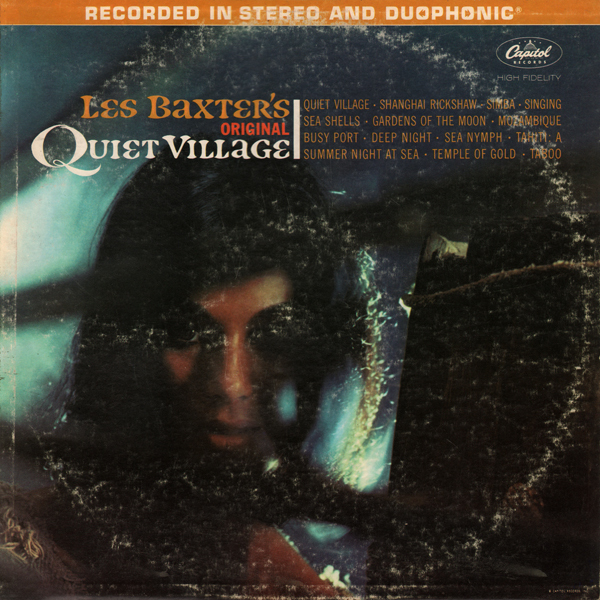 Baxter produces the "exotica" sound or "mood" with instruments sans sound effects like bird calls. 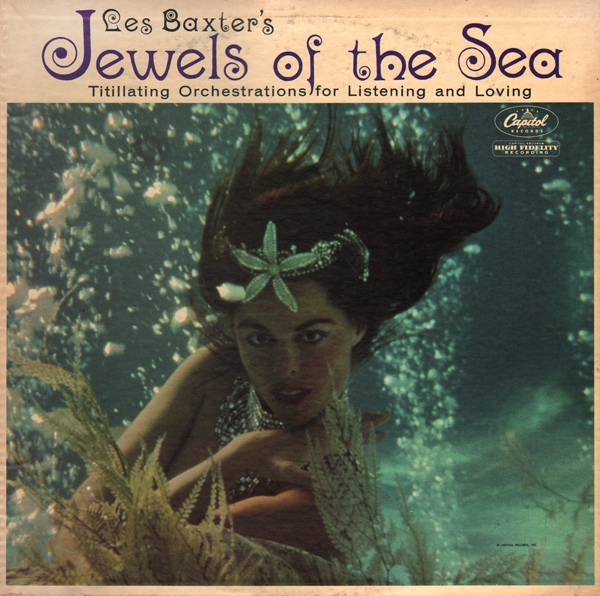 The song "Jewels Of The Sea" was composed originally by Les Baxter as "Katia's Theme" for the American International picture, Black Sunday. This is interesting, at least to me, because Black Sunday is a well thought of Italian horror film by Mario Bava. Apparently Baxter scored the movie for the U.S. release. I now need to go find a copy of that film! 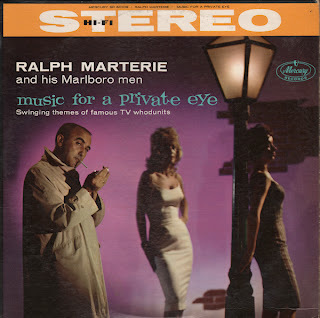 Martin was also responsible for several great "percussion" albums on Somerset (Perspectives In Percussion Volume 1 and Volume 2. 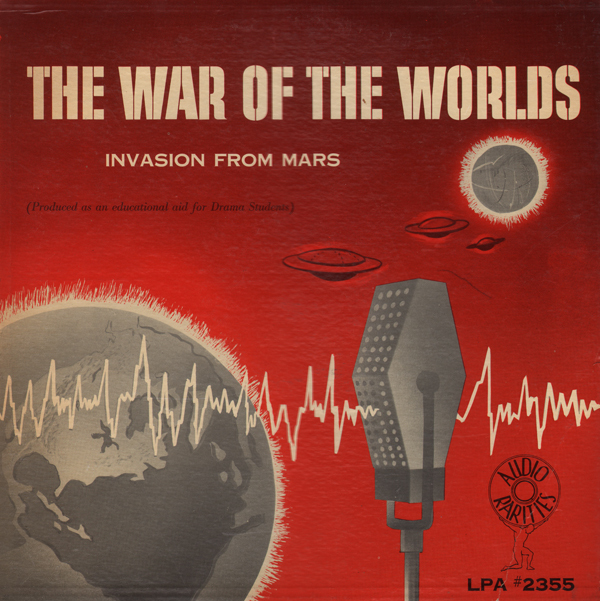 Link here to see the original 1959 release. This album looks like another "island" lounge recording. Which it is. But the quality of this act is heads and tails above most Caribbean lounge records I've found. 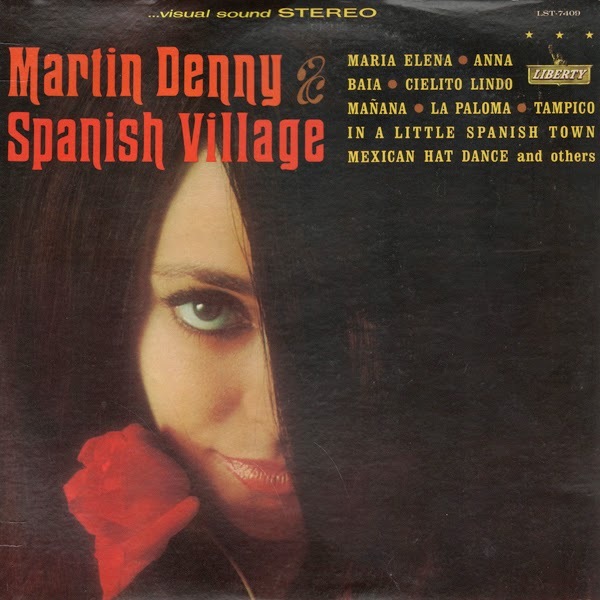 While the group members are natives of the Caribbean this album features mostly Latin tracks, including a Samba, Cha Cha, Rhumba, Merengue and Bossa Nova. The group consists of Fred Callender on bass, Edner Guignard (pianist and arranger), Frank "Bud" Munnings, drummer and Foxy Dean on congo drums and maracas. This is a condensed one record version of the original Orson Wells 1938 broadcast that appears to have been marketed to schools to "aid Drama Students". This is an obscure pressing. I bought it for the fabulous cover art. The pressing itself sounds like it was recorded from another record. I'm not sure, but the audio quality is lacking on my copy. This is another T.EJ. effort to trick unwary record buyers into thinking that they were purchasing the original song. I also love Denny's later work. These later albums do not get the same attention as his earlier albums. This album almost seems obscure. As far as I can tell you have to find a copy of this album to enjoy any track found on it. Voodoo Love is on this album but this version is not the version (sans bird calls) that is available for purchase by download. 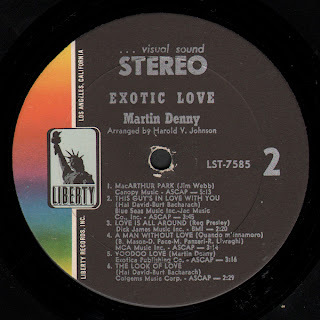 Denny must have recorded the tune again for this album(?) 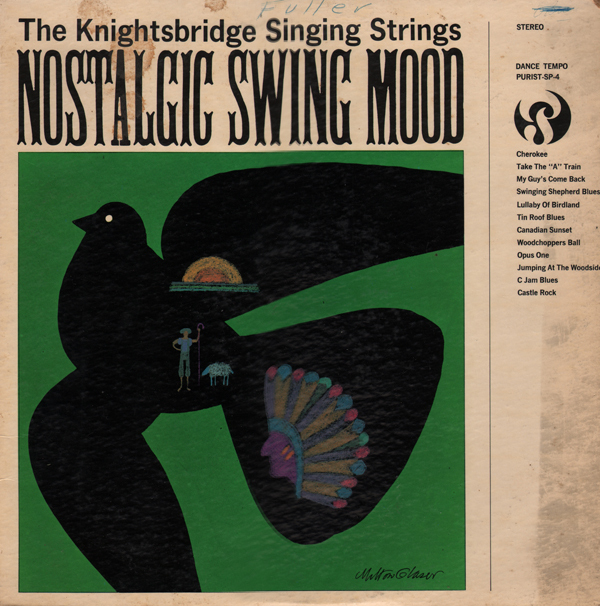 or the "remastered" version has bird calls added. I have no idea. One curious thing about my copy is that the record is fixed with a "side 2" label (the same label) on both sides of the record. 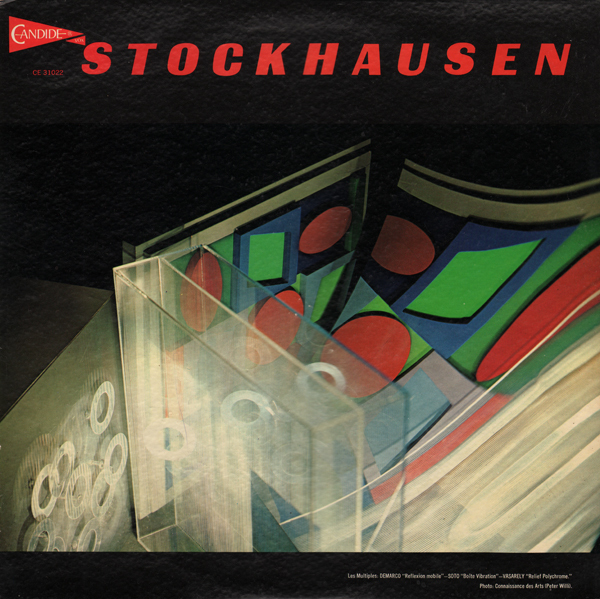 I'm no expert on electronica or Karlheinz Stockhausen. 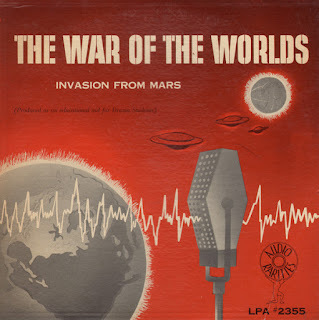 But I found this album and can't find another image of the cover online. So I post it for reference. There are two pieces on the LP. They are titled Kontakte and Refrain (both recorded in 1968). I believe I found Refrain as a 99¢ download on Amazon. Kontakte seems to be available on CD. There are lots of online search returns on Ripple Blast Singers, but I could find no real bio information. The cover band may have released as many as four albums(? ).